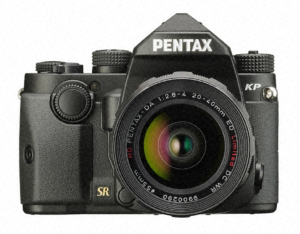 The new Ricoh Pentax KP is the follow-up to the K-3 series, and includes many of the premium compact’s advanced features while incorporating many new ones as part of the camera’s internal re-design. 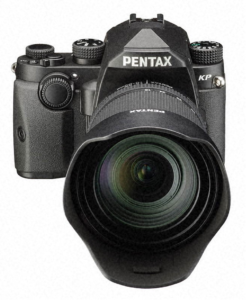 The Pentax KP APS-C DSLR has a new 24-megapixel CMOS sensor, plus five-axis Shake Reduction II—the first Pentax APS-C body to include the feature—which compensates for camera shake up to 5 steps. The slim and compact KP is weatherproof and portable, with a huge ISO sensitivity to 819200 and an electronic shutter that enables live view for high-speed photography up to 1/24,000 sec. Among the list of features are a vertical-tilt LCD monitor for high- and low-angle photography, an AA (anti-aliasing) filter simulator and Full HD movie recording. And to customize a photographer’s shooting style or lens choice in any given situation, there’s a new interchangeable grip system. These are among the many features that make the Pentax KP a versatile camera built for the outdoors and a variety of shooting conditions, from street photography and landscapes to low-light shooting and night photography. 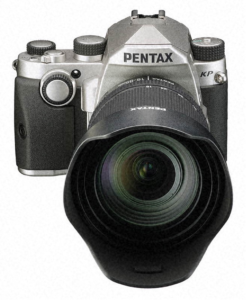 The Pentax KP DSLR will be available on February 25 for $1,099.95. 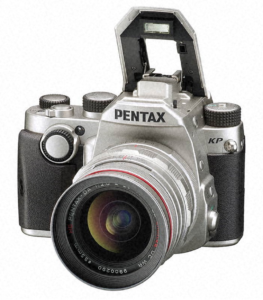 The PENTAX KP incorporates additional advanced technologies and ease-of-use features that have long been the hallmark of PENTAX cameras and enable them to be used comfortably and reliably in a wide range of conditions. • 5-Axis Shake Reduction System: The PENTAX KP is the first PENTAX APS-C DSLR to offer the new generation SR II system, which uses a five-axis mechanism to compensate for camera shake caused by horizontal and vertical shift (often generated in macro photography), roll (difficult to handle by lens-installed shake reduction mechanisms), as well as pitch and yaw. 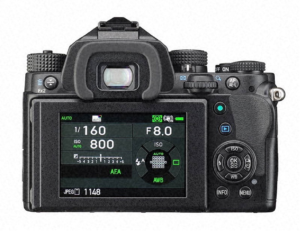 The SR II unit is controlled with great precision as soon as the camera’s power is turned on, providing a wide compensation range—as much as five shutter steps—to further expand the limits of handheld shooting. 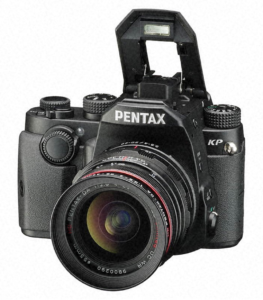 With the addition of an optional accessory GPS module (O-GPS1 GPS unit), the PENTAX KP, simplifies astro-photography, making it possible to record stars as points of light rather than star trails during extremely long exposures. 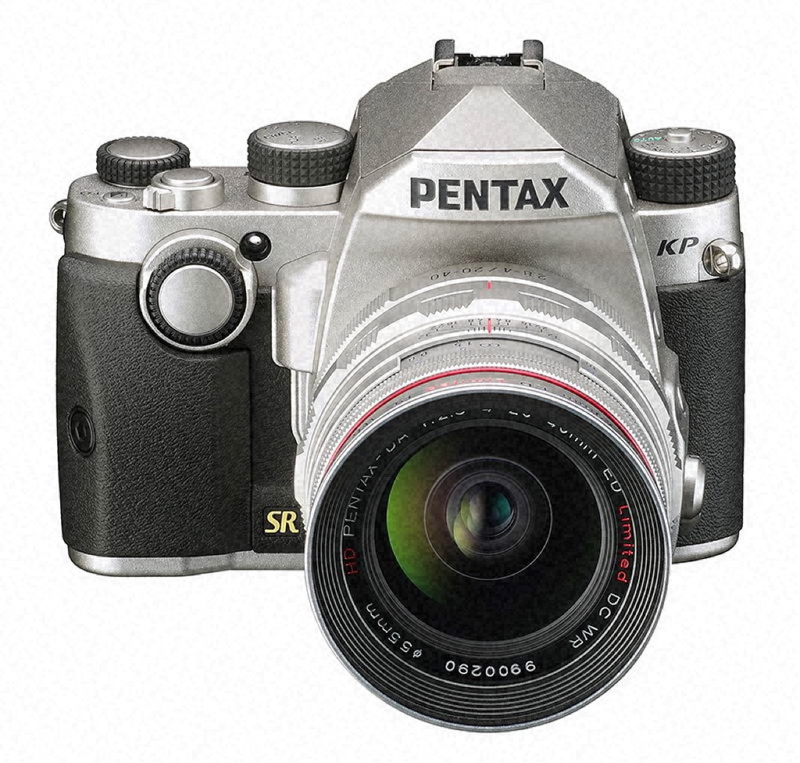 • Pixel Shift Resolution: This acclaimed PENTAX technology enables producing color-accurate still-life subjects with the highest resolving power. The technology uses the KP’s in-body Shake Reduction System to move the image sensor in single-pixel increments, to capture four separate images that are subsequently combined into a single, high-definition image. • A vertical-tilt LCD monitor that facilitates high- and low-angle shooting. • A grip replacement system that lets photographers choose their preference of grip based on shooting style or lens choice. 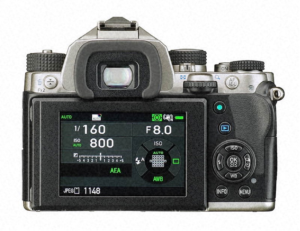 In addition to the standard grip that comes with the PENTAX KP, accessory grips include medium (M) and large (L) grips (these will come packaged with KP bodies sold in North America), as well as the optional D-BG7 Battery Grip. • Control panels, button settings and dial controls that can all be customized, based on a user’s preference. AF/AE-L button (AF1, AF2, Cancel AF, AE Lock) Various settings for the action of the e-dials in each exposure mode can also be saved. Copyright Information: Names of “Photographer” and “Copyright Holder” are embedded to the image file.